And so, it has begun. It’s the French revolution and Warfare Links are the nobles with their heads in guillotines. 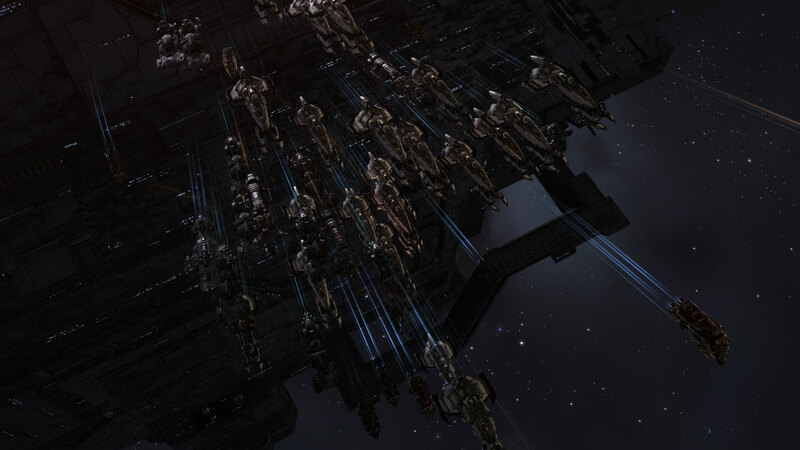 The ball is finally rolling on the much debated, long awaited death to off-grid links with the introduction of Command Bursts in the November release, outlined in CCP’s first dev blog on the subject. Virtually everyone with an EVE account has an opinion on this and it needs no further introduction. Now that we know where CCP are going with this, what is your stance on their approach? Do you see any gaping holes in the new system itself, or perhaps the meta that will result? Does this new system satisfy the “bard” role of EVE or will it become the kind of thing FCs have to force people to do? Who prospers most from these changes – do they create a greater divide or level the playing field somewhat? Kojaimea Sakamoto: Having been a part of many small to medium size fleets and operations, I believe that the changes may harm those who see themselves as the upper tier. Those who bring fleets that need every person they can get. The changes seem to essentially force the pilot to take direct control and will punish them from multiboxing far more than previously, and so making smaller fleets struggle with the loss of a viable member. It will be interesting to see at which point the FCs will decide to add links to their fleet over the value of another member. With regards to larger fights, it will be ever more important to anchor properly and the effects of command destroyers will be even larger as those ships which are jumped off (after a time) will lose their bonuses as well. Rixx Javix: Stay Frosty’s Corp motto is “Risk it all, or go home”. On-grid links place the risk where it has always needed to be from the day they were introduced. Right on grid with everyone else. Whatever the details finally end up being, this change is the core reason why these changes needed to happen. We’ve known for a long time something like this was on the way, so I’m not entirely sure where the tears are coming from. (I interviewed CCP Fozzie late last year and he revealed their plans then http://crossingzebras.com/after-hours-episode-1/) As always, the Eve player base will adapt to the new reality and use it to its maximum. Often in ways we probably can’t even imagine right now. I, for one, look forward to flying in this new reality. And exploding all these Command Burst ships and their shiny new modules. More loots!! Dunk Dinkle: Overall, the proposed changes are good. Eve players, being Eve players, will likely find a way to abuse the new system early on, but the basics are sound. Command Bursts being not just on the grid, but within the fleet will eliminate much of the problems with off-grid boosting seen regularly. My main concern (whine) is on how the Wing Command and Fleet Command skills are being integrated to the new system. At present, these skills will be reduced to simply increasing the range of the command burst, nothing more. In the past, these skill were essential to running boosts in a fleet and many players spent months training them to enable links gameplay. After that large investment in skill points, the benefit in the new system is frankly insulting. One of the most widely trained skills with wide benefit is Advanced Weapon Upgrades, which is considered a long train by many. AWU is a 6x skill. Comparatively, Wing Command is a 8x skill and Fleet Command is a 12x skill. Compare to most other ‘needed’ skills, which almost are all under 8x training times, these stand out as a huge commitment of training time with a minimal payback. Hopefully, the dev team will reconsider how to handle these skills and make the situation more equitable for pilots that have trained long months to make the old buggy system work. Sanders Schmittlaub: As the owner of a perfect skill link pilot, which I spent nearly a year training, I’m super butthurt about – na, I’m just yanking your chain. I saw the writing on the wall like a year ago and started training combat skills on my booster. He’s now a fully competent combat pilot (damage skills are still wanting a bit) which I have been practicing dual/tripleboxing with for the last six months in a small/medium gang W-Space environment. I’m not sure why people are bitching about it, CCP made no secret about these changes coming. I get why people are so upset over the changes – the previous system had literally no drawbacks of use on any scale. Beat around it all you want, but unless you’re an idiot (hullo!) its almost impossible to lose one (I’ve lost two). Now their use requires risk by putting it onfield. Huge fan. As for the numbers themselves, I think that the proposed changes are pretty well balanced compared to where they are at now. The combination of repair duration and cap usage links makes a lot of sense, and removing the third link slot from Command Ships is perfectly fine with that in mind. The range of boosts is another sticking point, and all I can say to that is cool. A command ship maxes out its boost range at 58.5km, which is huge. A T1 Battlecruiser with basic skill can be expected to throw much weaker links at around 20km. Its a much smaller area, but now you’re not limited by having max three link capable ships in a fleet – now literally every T1 BC can pack a link in its utility high (newsflash, almost all of them have one or more). I do have two concerns. First, I hate the removal of Command Processors to be replaced with rigs. My Command Ships (I have three) regularly get refit depending on the situation, from the three link ongrid ships for jumping into gangs, to four links for skirmish/nano combat (siege/info/dual skirmish), to the full sixpack for running sites in the static. Replacing Command Processors a rig suckers each ship permanently into its role much like rig slots on Freighters would cost them what little fitting options they would have had (they ended up with low slots after much debate). I hope they retract the rig idea and just increase fitting costs on Command Processors to max out the number of links a ship can fit to a hard four. Maybe add a lowslot Command Processor so shield ships don’t get hosed so hard, and the problem that currently exists disappears. Second, Leadership, Wing Command, Fleet Command. No. Just no. At 2k SP/hr, it takes 112 DAYS to max out the range of your link boosts. Fleet Command V takes FIFTY FOUR DAYS to get that last 4% boost range. No one in their right mind (hullo!) will train that under the new system. Cut Wing Command to a 4x skill and Fleet Command to an 8x at most, or even better, just hack off Wing Command and just roll the bonus into Fleet Command and Leadership. It doesn’t make a ton of sense to have three sequential skill sets that only give more range bonuses to the same things, especially when it only gives a combined 15% per level for all three. Its an especially poor design choice since Leadership (1x skill) gives 6% bonus, Wing Command (8x skill) gives 5%, and Fleet Command (f***ing 12x skill) only gives 4%. That’s a double whammy of increasing cost and diminishing returns right there. Overall, I’m pumped about the changes, especially the decrease in requirements to get people into Command Ships and Command Destroyers and using links. Cosmo: Technically I wasn’t joined up back then, so it wasn’t /my/ corp. 😛 But i’ve heard it was a misunderstanding or something. Returning to the matter of link–sorry, command bursts, I have never been had or used a linking alt (minus null fleet fights with boosts), but have fought against linked people more often than not. I was more opposed to the system due to the design principle rather than the application. Overall, i’m chiming in to say that i approve of the vast majority to the changes. My only major concern is related to the duration. 130 seconds at max and 60 seconds at base skills. Given that command ships will be around 40-45km, which is a good chunk of space in which you can have a few hundred people fleet, even at base 60 seconds it makes it trivial to burst-by. Just warp in, burst, warp out to align, similar to Stealth Bombers today. The same counter applies to them, grid control with bubbles, and that actually may be more of a push to actually using them as designed, but it depends on the meta if they’re deemed vital enough to take out instead of logistics in the hierarchy of target-calling importance for them to still be pushed ‘off grid’. These changes will also allow burst ships to fit weapons and be almost complementary to mainline doctrines. But maybe they get focused on an anti-bomber role, or firewalling with smart-bombs? We’ve never really had a role this flexible in large fleet combat. They’re there to do the thing which they can do from anywhere around the fleet, but also have enough spare slots to do anything else. Maybe they’ll get thrown with some ewar? Who knows, but I like that it allows my mind to wonder. For small gang, even with the smallest range, I can see these really getting used, especially in wormholes with their at-zero-brawling, and for solo as well, as long as you either step up your multiboxing game or actually, *GASP*, add another player, but then that’s not much solo, is it. Free plug, word. Regarding the actual mechanic, I’d like to note that it almost feels like cheating that logistics actually have to target players now, doesn’t it? But a quarter-power AOE burst heal, scripting off the normal Remote Repairers doesn’t sound so bad, does it? Maybe in the future. Between the lines of all the cap/supercap things (generally making cap/supercap play more in the realm of ‘huge spacetoys’) I’m also looking at the Rorqual bursts. I’m sure smarter men than me will calculate if the range is enough to cover an entire belt or or if it’s even worth it (Later edit: Someone did, it’s not. ), but either way miners right now will actually lose 1% efficiency apparently. I think someone could have crunched those boosts a bit better. Closing up, most of the numbers seem solid, but not all, and I’m glad to see bursts are staggered. The mininum ‘cycle time’ will probably be 30 seconds, with 60 max, and the minimum duration is 60, with 130 max. This means you can keep them constantly on, but also have a bit of overlay if you have people warping in and out and stuff like that and just makes for interesting design. Good stuff all around and there have been very few voices shouting out against this super-long-awaited-change. It’s just a solid game plan. PS: RIP Incursions. Seriously, if there is a legit group that got majorly fucked here, it’s you guys. DireNecessity: Byzantine details, especially early on, aren’t my specialty. I get to them eventually, but it’s a slow process. Despite my soloish playstyle, I’ve had an optimally trained, optimally augmented, optimally boated off-grid booster alt near as long as I can remember and, though happy to pay for two accounts to utilize the privilege (the boosts were that good! ), it always felt a little cheesy on CCP’s part to well-nigh require a barely active 2nd account merely to compete with the other Richie Riches. So I tip my soon to be in game CCP manufactured space pixel hat (good work Rixx!) to CCP for rethinking how many accounts one should be expected to maintain and be competitive. PCU counts are probably going to drop post change and everybody will fuss about it but the game will be healthier for it. Bold move on CCP’s part. Skill injector prices might be taking a dip in a few months too as people extract out their now much more difficult to operate booster → burster characters. Skill Extraction/Injection is looking a clever move on CCPs part since, no matter how arduous the no longer desired train, the time expended will always be worth good ISK. Edit: Following a night’s sleep, it occurred to me that soloish player Command Burst use tucked away in convenient utility slots will still require a second account (not necessarily your own) since you have to be in a fleet to utilize the burst. If I understand correctly however, that second character needn’t be in system or even remain logged on once you’ve managed to get yourself into a fleet since you can have one person fleets, you just can’t start one person fleets. 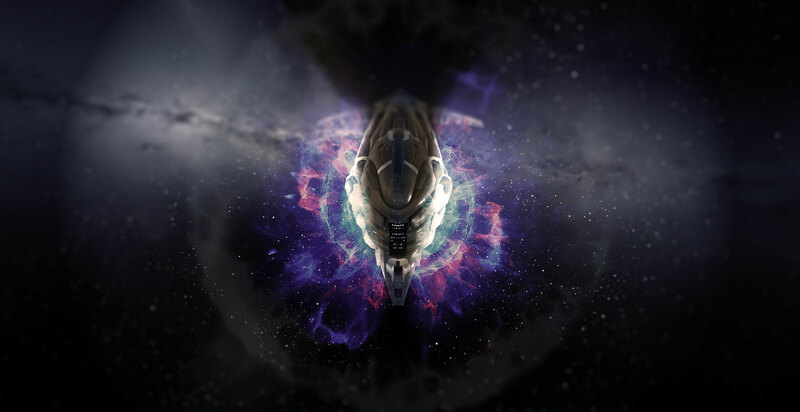 Will CCP eventually allow us to fleet ourselves, or, even better, will the burst always, at minimum, affect the bursting ship regardless of fleet status? Annoying workarounds are annoying, CCP should reduce their prevalence. Q: Will a pilot be affected by his/her own boosts? Edit to the edit’s edit: Nix that comment about PCU counts drops too! It’s been ‘alpha/omega slammed’ completely off grid. Apothne: Naturally there are many small details to iron out, but broadly speaking this is a very nice way of making links good gameplay. I know many disagree with me but I also really like the Titan effects of affecting all ships in its area of effect. Interactive, dynamic gameplay is a good thing, and I’m really excited to see how this affects the PvP meta across the board. Danikov: The Dogma rewrite continues to bear fruit in addressing one of the longest standing bugbears of both the balance team and the community. While I trust balancing the details to those more experienced and involved, anyone can see that compelling links to be on-grid and require locality to a fight is far more interesting and fair for those involved. Abusing links with nigh-untouchable alts whether in PvE or PvP is out, while taking advantage of the strong link benefits can even be done solo with most command-burst capable ships sporting a utility slot. The tournament meta is bound to be shook-up by the changes and even miners may find themselves having to make adjustments. The most exciting prospect, though, is the new Titan effect generators giving system-wide wormhole-style effects. What’s not to like?